Mozzarella cheese is available in dozens of varieties. Delicately flavored fresh buffalo-milk mozzarella is often found in salads or appetizers. Processed mozzarella cheese is the topping on most bubbling-hot pizzas and therefore one of the most commonly consumed cheeses. Smoked mozzarella is enjoyed as a snacking cheese with wine and fruit. 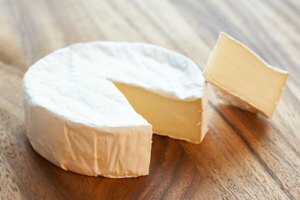 As unique as it is, a number of cheeses from around the world are made in a similar way and serve well as a replacement. Queso Oaxaca is a Mexican, semisoft white cheese made from cow’s milk. It's produced in the state of Oaxaca in the southern part of Mexico using the same method as mozzarella; the process involves stretching the curd and wrapping it into a ball or loaf or rolling it into string form. Queso Oaxaca is similar to mozzarella in appearance and in the way it easily melts for pizza, burgers or quesadillas. Shred Oaxaca and use the same proportion and manner that mozzarella is used. Or buy it in string form and enjoy it as a snack. Bel Paese was first produced in the early 1900s in Melzo, a small town near Milan. Today it's made in Wisconsin as well as in Italy. It's a semisoft cow-milk cheese that's pale yellow with only a few very small holes. It has a milky aroma and a mild buttery flavor. Bel Paese is a good stand-in for mozzarella when making pizzas, calzones and casseroles and is occasionally served with ripe pears as a dessert. Also originally from Italy, provolone cheese is similar to mozzarella in appearance, flavor, and texture. Like mozzarella, provolone is a semi-soft cow's milk cheese also made by stretching the curds, forming the cheese, and curing it for two to three months. 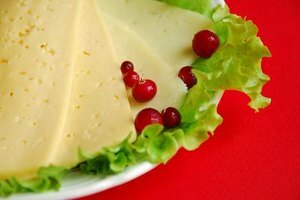 Provolone is very popular in sandwich-making, snacking, cooking, and preparing desserts. Provolone can be used interchangeably with mozzarella. Caciocavallo cheese is from the southern region of Italy. 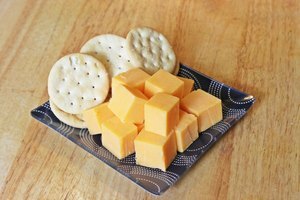 It's a semisoft cow-milk cheese that's pale yellow with occasional small holes. It's usually made into the shape of a bell or gourd. Traditionally, two gourds of cheese are tied together and hung over a horizontal pole to dry—a practice that still takes place in some areas. Slice caciocavallo cheese to use on pizzas or casseroles for a mozzarella-like topping. Caciocavallo is used in sandwiches, salads and other dishes that typically call for mozzarella.